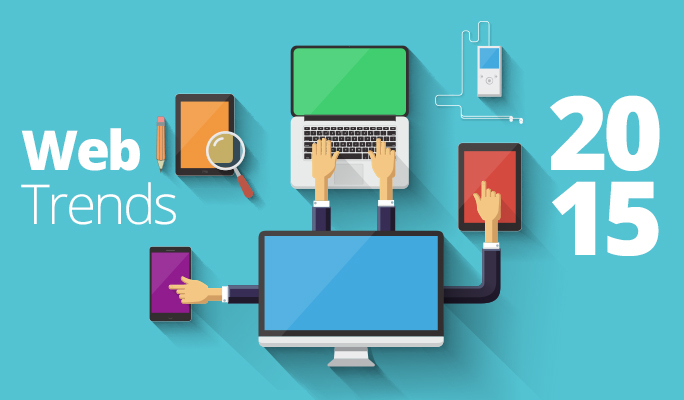 As the year 2014 comes to an end with so do many web design trends & styles. As well designer one rarely ever takes a conscious effort to stop designing in a certain way. The designs are usually influenced by the client’s options and the functionality requirements, new ideas and current trends in web design industry. However over the years we have seen many different types of websites. There was a time long ago when every website that was build made us of frames. However in present times there is never any mention of using frames on a website. Furthermore frames are considered to be bad for business from the SEO perspective. Hence a great deal has changed over the years and it continues to change. This year two there may be several website trends that will go out of fashion and there are few more trends listed below that you can expect in the year 2015. Pictures do tend to say a lot more than words. Hence the trend of making them as large as possible like full screen continues into 2015 as well. We are likely to see many more websites being designed with massive background images. Although we are likely to see more optimized images that doesn’t affect the website load time and at the same time are of good quality. 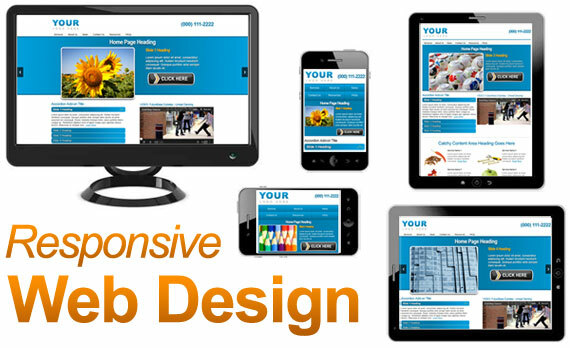 Although responsive web design has been around since a while now it hasn’t been widely accepted by all yet. But this is all set to change in the year 2015. Web Design in 2015 is likely to more influenced by mobile website design than any previous year. The fact of the matter is that the number of mobile internet users are increasing at an alarming rate and finally in the year 2015 the number of mobile internet users will almost certainly surpass those accessing the internet from any other platform (computers, etc). The statistics that have been collected in the recent years strongly suggest this and they are most likely correct. Hence the fact that there are now a great many mobile internet users and also since the people in general are now starting to accept a Responsive website design is why more number of websites that will be built in 2015 will have a responsive design. This includes the people who purchase a template online and also those who prefer to have a customized template with their own design options. HTML5 is here and has been for a while. That is one of the reasons that more number of people are using it. The large trend is here to stay for a while. We have seen the trend of large images and it is going stronger too. However there is also a new trend brewing in the world of web design a it is full page background videos. These are special HTML5 video that can run in the background of a web page. This is a trend that is emerging and is likely to be implemented by many new websites. With full page video backgrounds we are likely to see many new designs as well. These full page videos will also be compatible on the mobile device however as far as the iPhone is concerned (iOS) it will not allow a HTML5 video to run by default since it tries to keep the bandwidth expense as low as possible. At the same time iOS will provide you with feature to initiate the video if interested. That said I have a word of advice for the web designers. This is a fairly new trend, in fact it is an emerging trend that is likely to grow in the year 2015. Hence it should be used wisely so that it enhances the website. The background video should be not be the main thing in the sense the website design should not be based on the excitement to include a video background. Besides which there is also a need to keep the video in context with the content and the website. The video itself should be designed such that it is long enough to make sense. If the video is too short it will repeat many times which is not really very effective. Navigation is the single most important element of website design. Many designers get this basic element wrong in an attempt to design new and creative websites. That said the year 2015 is likely to bring back the trend of a sleek menu bar on of the screen. There is likely to be a decrease in the fancy menus and it seems the web designers may keep the menu simple and easy to access (as it should be) and concentrate more on other design elements. We are likely to see many more design in the year 2015 of which some will be trend setters and others simply keeping in trend of the previous years. The mobile first design will continue to be implemented however it is not going to become mobile only as yet. The mobile website is important, in fact it is very important. The statistics tell the story; where the year 2015 will see the number of mobile internet users exceed those on other platforms. However the desktop computer website here to stay for a while and continues to be important. Amongst the other things that you can expect is big fonts, shades of color as well as modular scrolling. Motion design is all but dead with Flash well and truly exiting the website design scene. However motion is making a comeback in different ways with HTML5 and other design elements. As the websites start to be designed to be more efficient when it comes to speed we are likely to witness designs that are more to the point and serve the purpose without taking up a lot of bandwidth. A few buzz words floating around in the world of web design are Parallax Scrolling, Card Design and Material Design. Not everyone is tech savvy and creative enough to be able to design a website that is keeping with the current trends and also utilize the new tools and elements of a language. Web Designers are a creative group of people who have the amazing ability to come up with great designs that can later be converted into a workable template for your website.